A beautiful addition to my new yoga room. Thank you! I bought this for my sons girlfriend for Christmas who is in the process of opening her yoga studio. The quality of these two prints are like nothing I have ever seen. Beautiful vibrant colours and the paper quality is superb..I will definitely look at Claudia's other pieces for future gifts. 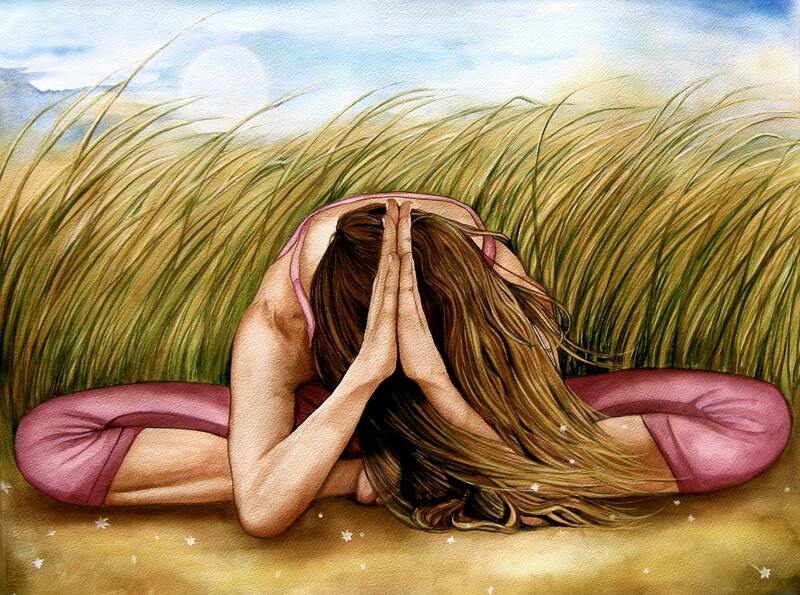 I bought this print (Namaste yoga meditation) along with another one from Claudia and they are both amazingly beautiful. Everyone I show them to thinks they are wonderful. Claudia's customer service is also brilliant. I am looking forward to buying more from her. Thank you so much.